Will Delaying a Bankruptcy Filing Affect Eligibility for Student Aid? My son is a senior in high school this year. I might have to file for bankruptcy. Should I file this year or wait until next year to file? — Rich N. Filing for bankruptcy will affect your eligibility for the Parent PLUS loan and your ability to cosign or borrow a private student loan. It will not otherwise affect your son's eligibility for student financial aid. You will be ineligible for the Parent PLUS loan for five years after you file for bankruptcy. Borrowers of the Parent PLUS loan must not have an adverse credit history, which is defined as a five-year lookback for certain derogatory elements of the credit history, one of which is bankruptcy. However, it is not unusual for people who are contemplating bankruptcy to already be ineligible for the Parent PLUS loan for other reasons. For example, the definition of an adverse credit history includes having a current delinquency of 90 or more days on any debt. But if a delinquency is the only reason why you are ineligible for the Parent PLUS loan, you could potentially regain eligibility by bringing that debt current. If you are denied a Parent PLUS loan, your son will be eligible for higher unsubsidized Stafford loan limits, the same limits available to independent students. Unfortunately, these loan limits aren't much higher than the limits available to dependent students. The annual loan limits are $4,000 higher during the freshman and sophomore years and $5,000 higher during the junior and senior years. This falls short of the amount of money you could have borrowed through the Parent PLUS loan, which has an annual loan limit of up to the full cost of attendance minus other aid received. The average Parent PLUS loan in 2007-08 was $10,753. Families who borrowed from the Parent PLUS loan program had a total of $14,847 in Title IV federal education loans, including subsidized and unsubsidized Stafford loans. This is $6,931 more than the $7,916 in total Title IV federal education loans among families who were ineligible for the Parent PLUS loan. A bankruptcy will make you ineligible as a cosigner or borrower on most private student loans for 7 or 10 years. Lenders previously would make occasional exceptions when a bankruptcy was due to circumstances beyond the family's control and those circumstances were unlikely to recur. However, credit underwriting has become more restricted since the start of the subprime mortgage credit crisis, so an exception is unlikely. Note that federal and private student loans are generally not dischargeable in bankruptcy. Only borrowers who can demonstrate undue hardship in an adversarial proceeding can get their student loans discharged, and even then very few are successful in obtaining a discharge. As one judge put it, there must be a "certainty of hopelessness" for a borrower to qualify for an undue hardship discharge on his or her student loans. If you want to stop the harassing telephone calls, read the Federal Trade Commission's summary of the Fair Debt Collection Practices Act. This will end most of the harassment, although you will still owe the debt. Consider alternatives to bankruptcy if your debts represent a small fraction of your income. While bankruptcy wipes the slate clean, it also makes it very difficult for you to get credit for 7 to 10 years. You will find it very difficult to get a credit card, auto loan or home loan after you file for bankruptcy. Sometimes restructuring your finances can help you pay off your debts. 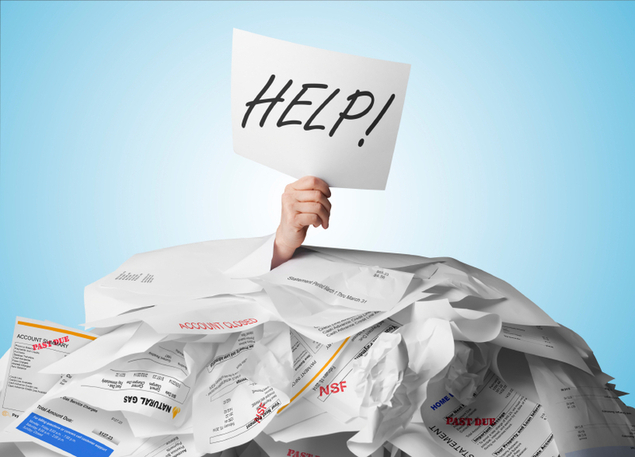 Bankruptcy attorneys earn a living by helping people file for bankruptcy; they aren't necessarily going to help you avoid filing for bankruptcy. Also, if you file for bankruptcy without learning how to manage your money better, you may eventually end up in the same situation or worse.